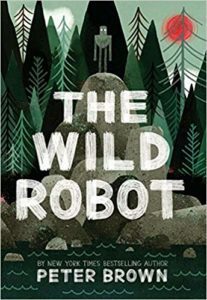 Join us at Fraser Woods Montessori School in Newtown, CT as we build our own Catherine Violet Hubbard Animal Sanctuary robot from recycled materials and discuss The Wild Robot, by Peter Brown. Drop in and then join us for our Sunday at the Sanctuary – Pets & Vets 101. All are welcome and children 12 and under must be accompanied by an adult.